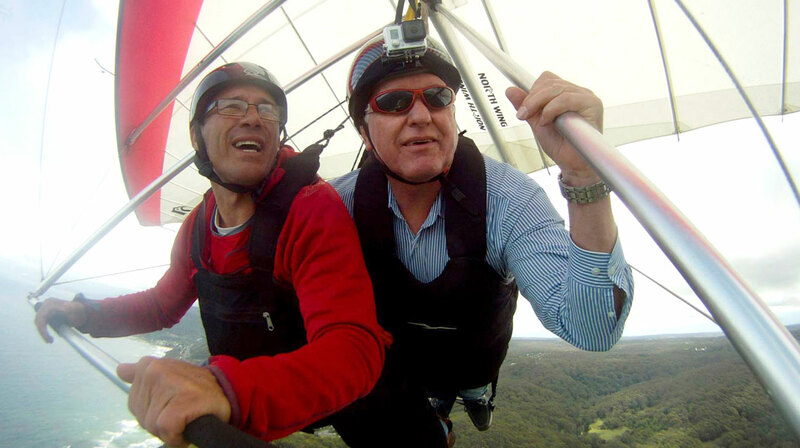 Our tandem hang gliding vouchers are the perfect way to celebrate any occasion. Give them an experience that they will remember for years to come. Hang gliding is an experience of a lifetime. Step outside your comfort zone and take that leap of faith. Enjoy spectacular views from Bald Hill, Stanwell Park just 1 hour south of Sydney and Hill 60, Wollongong. Always dreamed of flying? 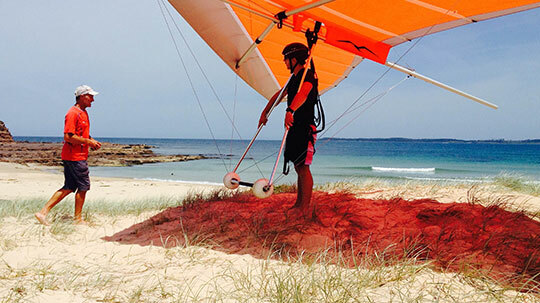 Learn to hang glide with first-class team at HangglideOz. Instructing students since 1987, our courses are designed to get you flying quickly without compromising on quality instruction. 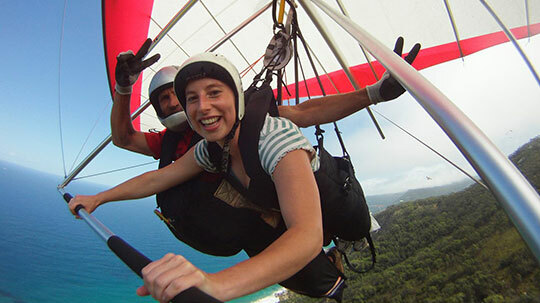 Why choose HangglideOZ for your hang gliding experience? Our instructors have 115 years of combined hang gliding experience. Hard to beat that experience anywhere in the world. They all form part of a dedicated team providing safe flights and delivering premium customer service.  HangglideOz has been ranked #1 on Trip Advisor and awarded Certificates of Excellence in 2016 and 2017. We are ranked the as the number one experience in the area since 2013. Why go anywhere else? Hang gliding is a must do for anyone visiting the area or those wanting to tick another experience from their bucket list. In 2016, HangglideOz was selected to be part of the production of the Qantas Inflight Video. 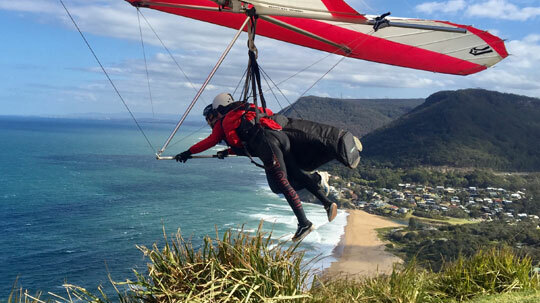 Hang gliding from Bald Hill was featured and Jorj Lowrey was selected as the hang gliding pilot. The inflight video showcased the area and sport and was viewed by an estimated 28 million people on Qantas flights worldwide. 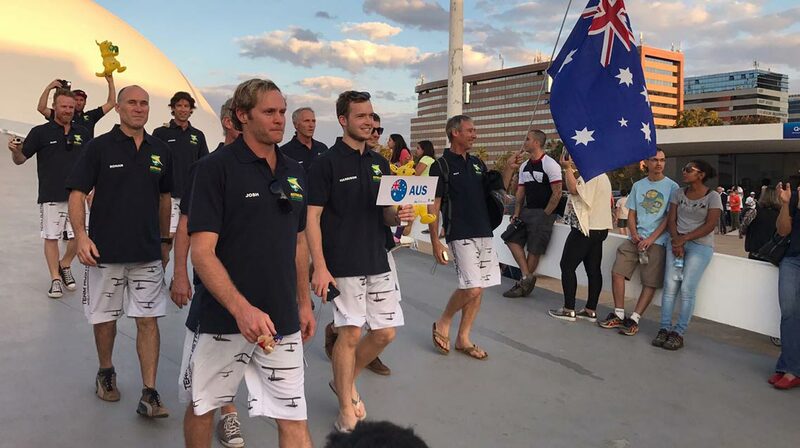 Two of our instructors, Tony Armstrong and Rohan Taylor as well as Josh Woods, former hang glidng student, were selected to join the Australian Hang gliding Team to compete at the 2017 World Hang gliding Championships in Brazil. They flew with the world’s best pilots in the spectacular Brasilia area. 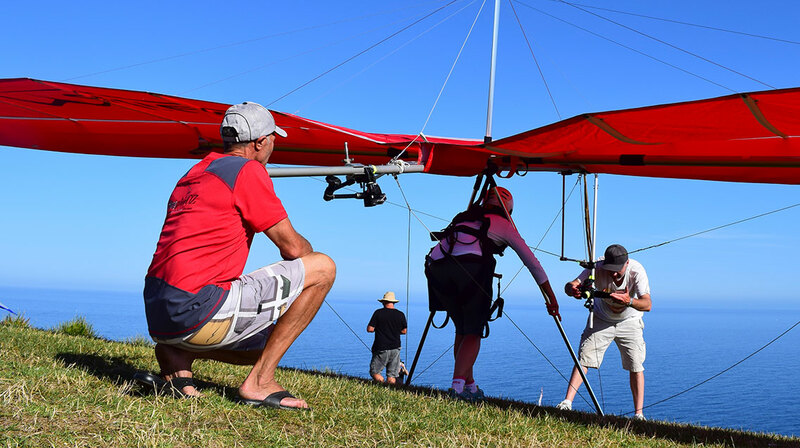 Two descendants of Lawrence Hargrave, Stanwell Park’s own famous aviation pioneer, flew side by side from Stanwell Tops. Father and son, Rick and Michael Colless, great grand nephews of Lawrence Hargrave, launched from the site adjacent to the memorial to Lawrence Hargrave with pilots Tony Armstrong and Chris Clements.